Hoop is a free app that makes it easy to discover what’s on for kids. Started by a group of parents that regularly found themselves wading through parenting forums, local notice boards and websites to see what’s on for their kids locally, Hoop is now the UK’s #1 place to uncover new family activities. 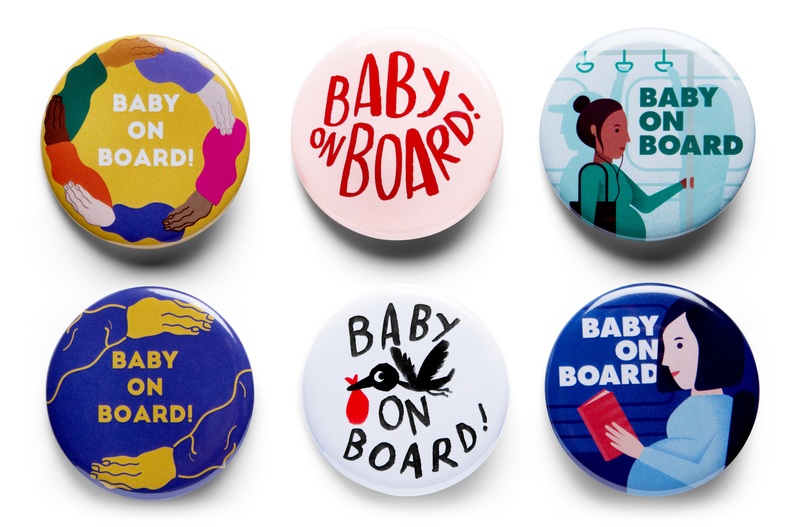 We worked with three female designers, including renowned illustrator Marion Deuchars, to reimagine the ‘Baby on Board!’ badges and release them for free online in line with Mother’s Day. We issued these badges to the media alongside supporting research that revealed that 28% of pregnant women feel overlooked on public transport. Coverage appeared in top tier publications including BBC Breakfast, ITV News London, Evening Standard, HuffPost and Yahoo, as well as key design press including It’s Nice That and Digital Arts Online. We also created a buzz on social media with support from Absolutely Mama, Junior Magazine, Erin Aniker. The campaign has resulted in over 6000 badges ordered and the orders keep on coming! Oops we did it again!